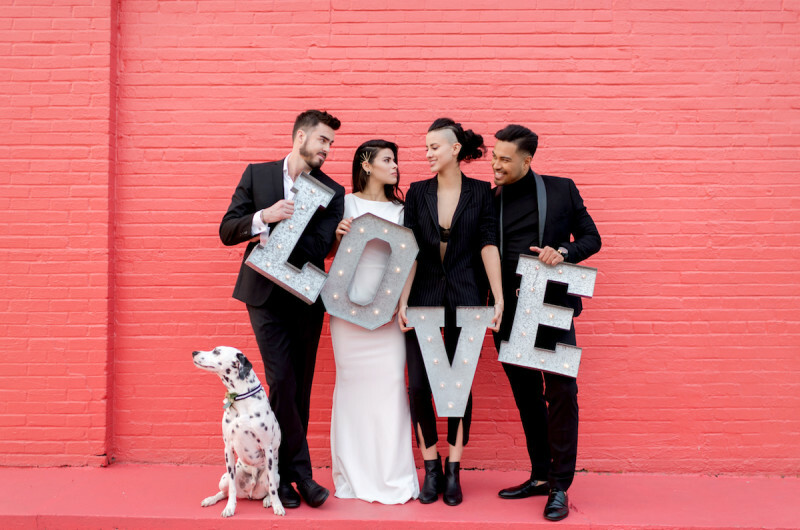 Now that Pride month celebrations are in full swing, we’re especially excited to be featuring this statement-making shoot today! 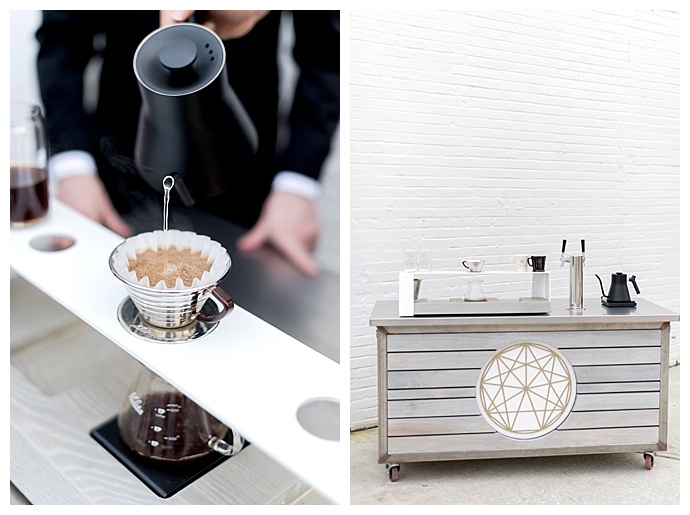 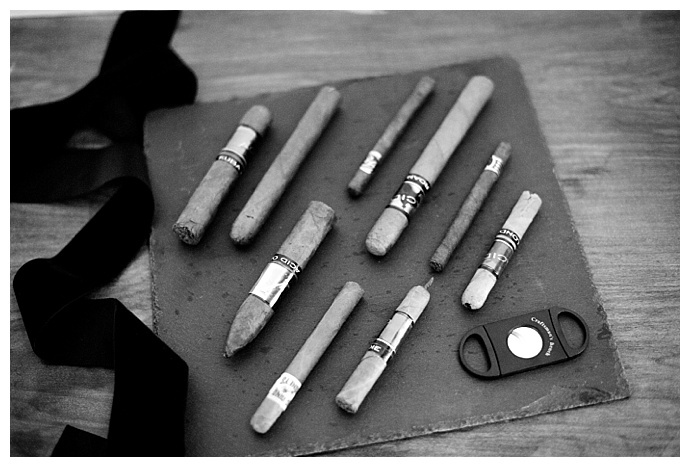 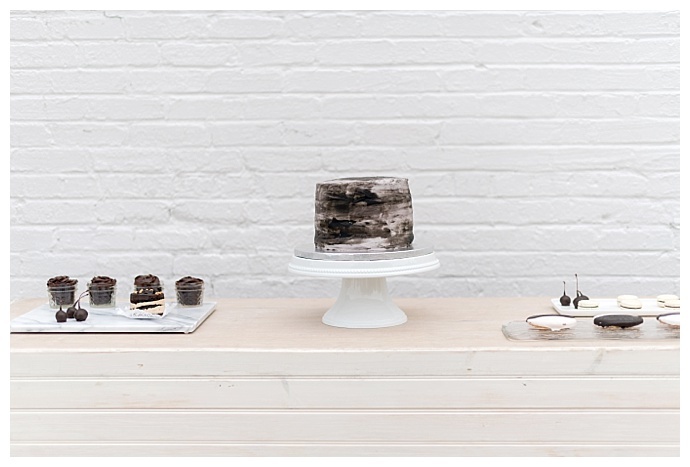 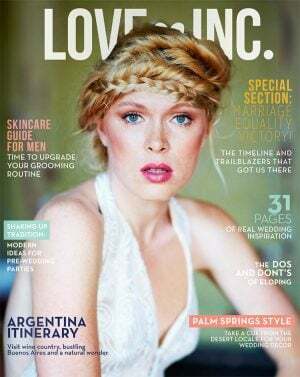 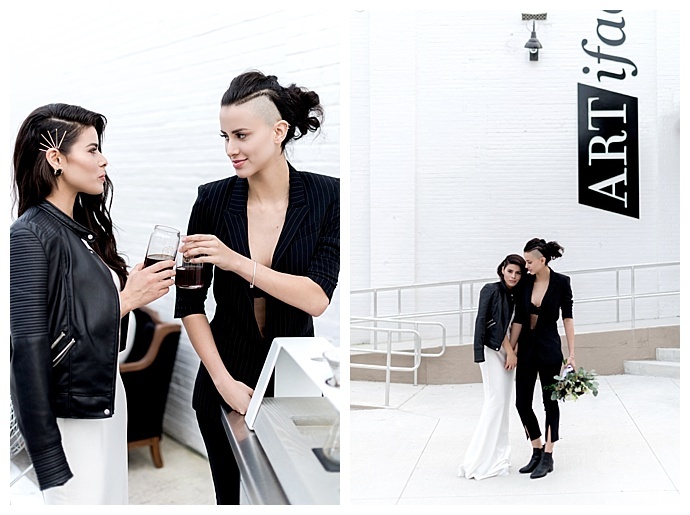 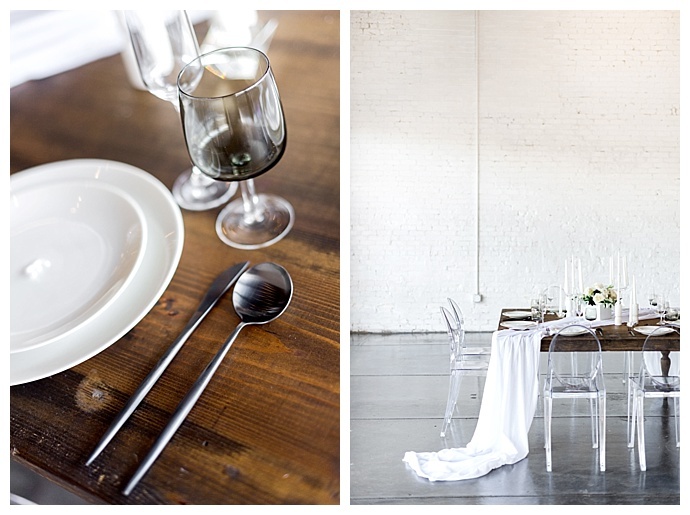 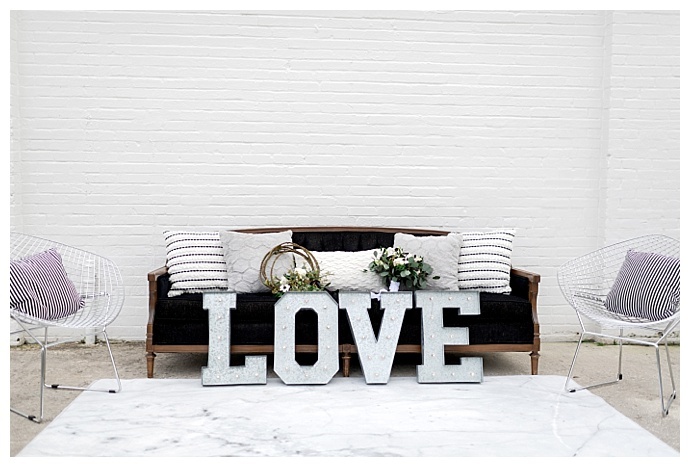 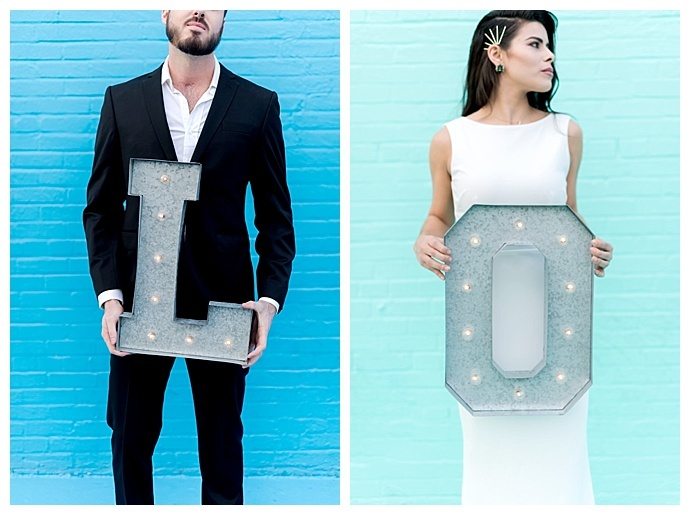 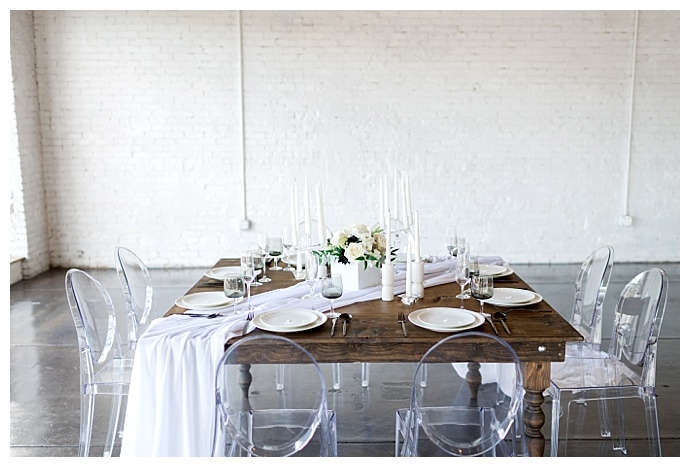 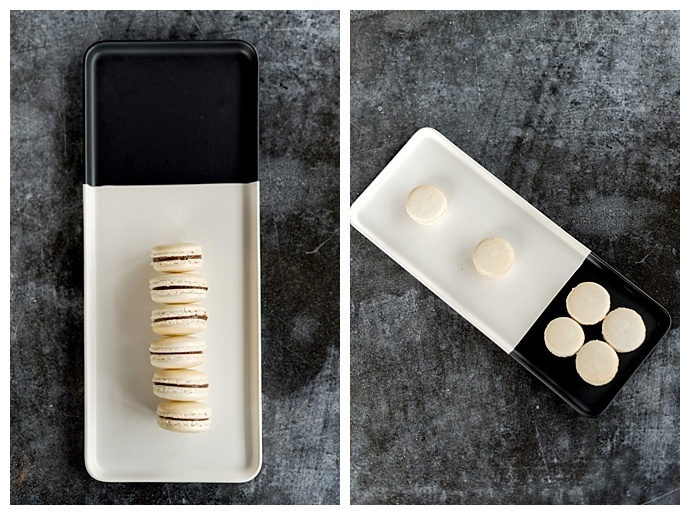 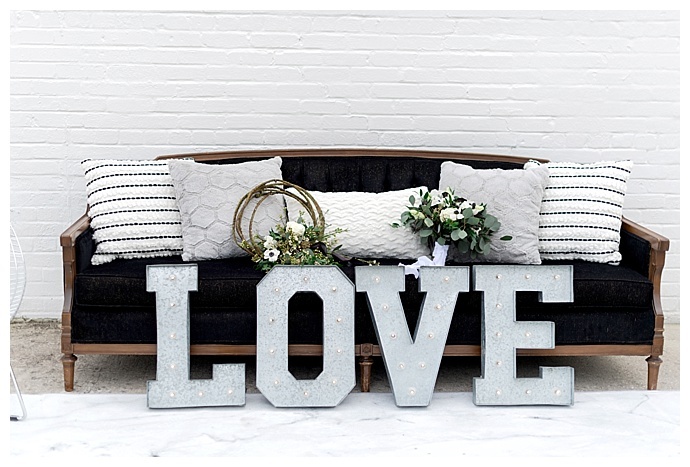 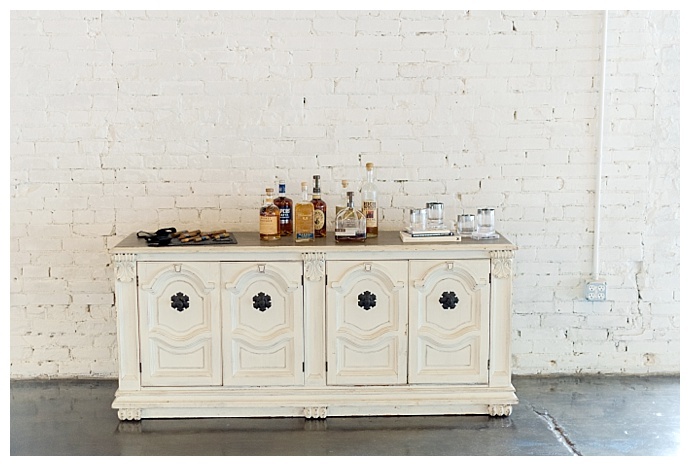 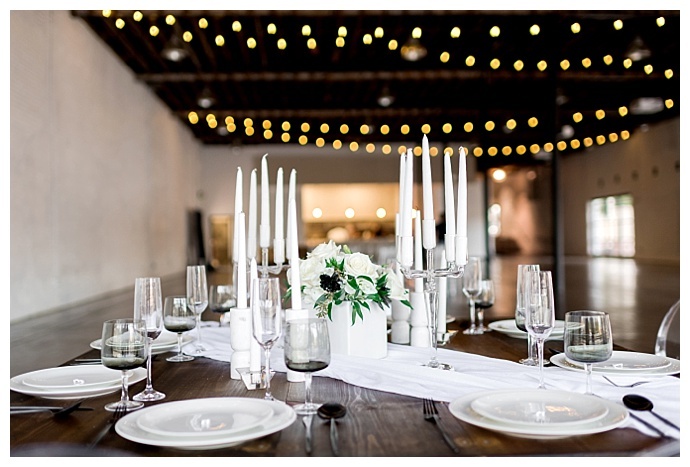 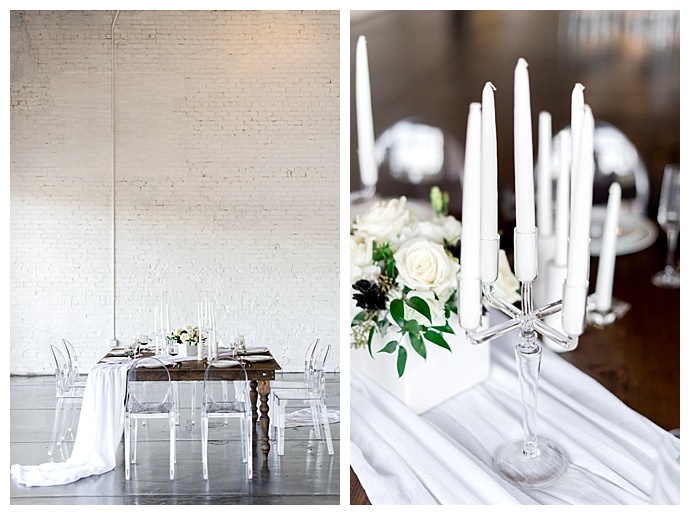 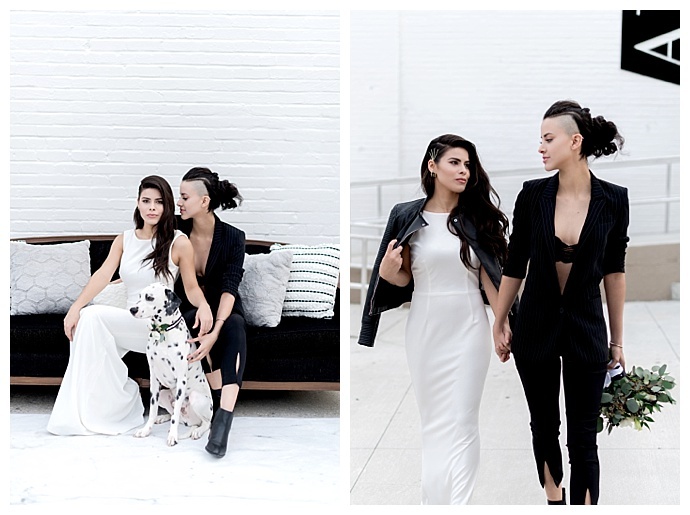 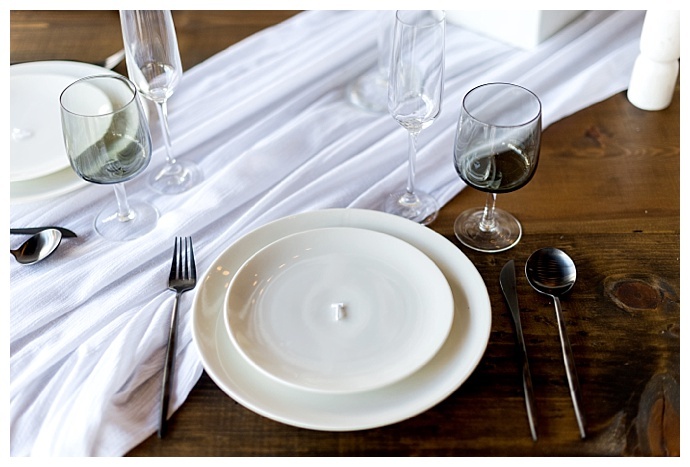 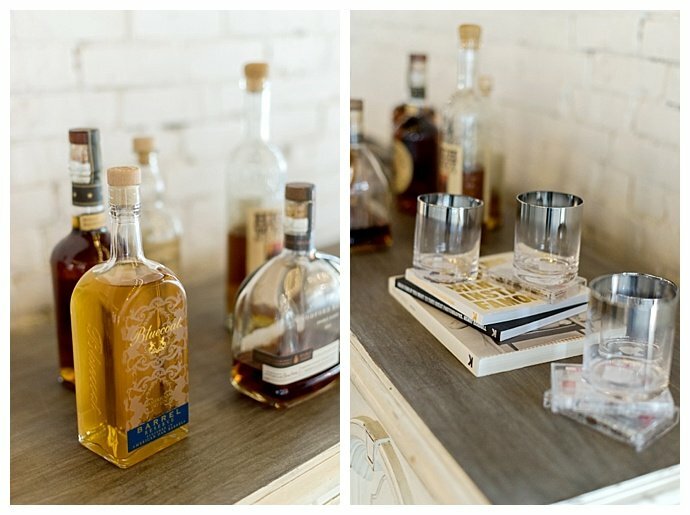 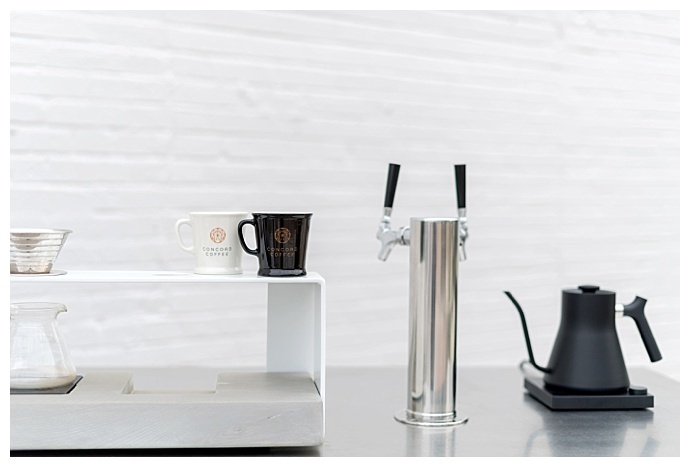 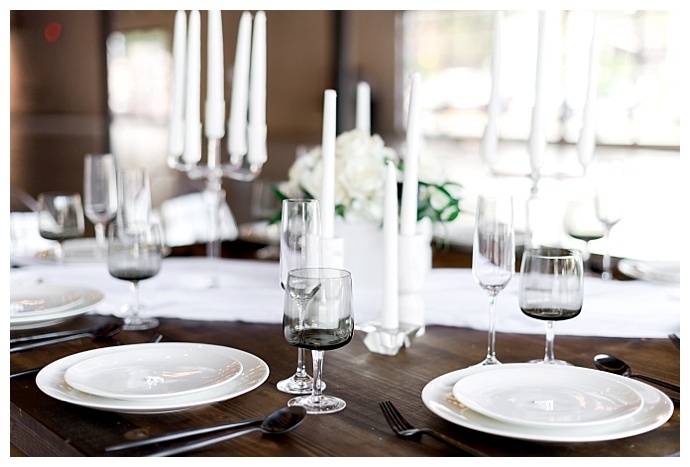 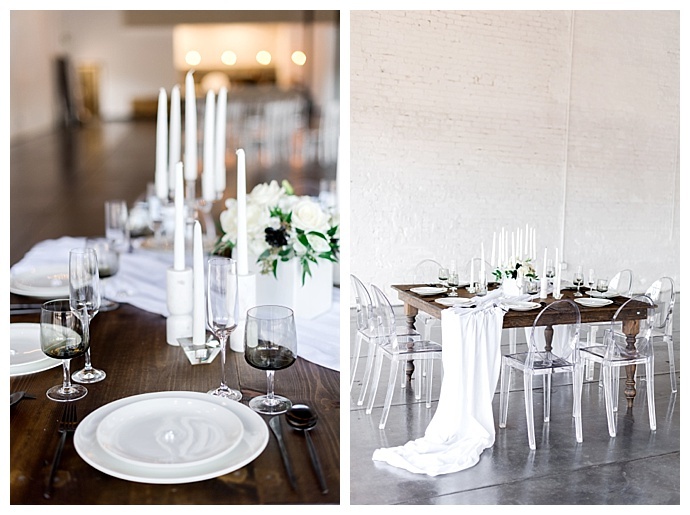 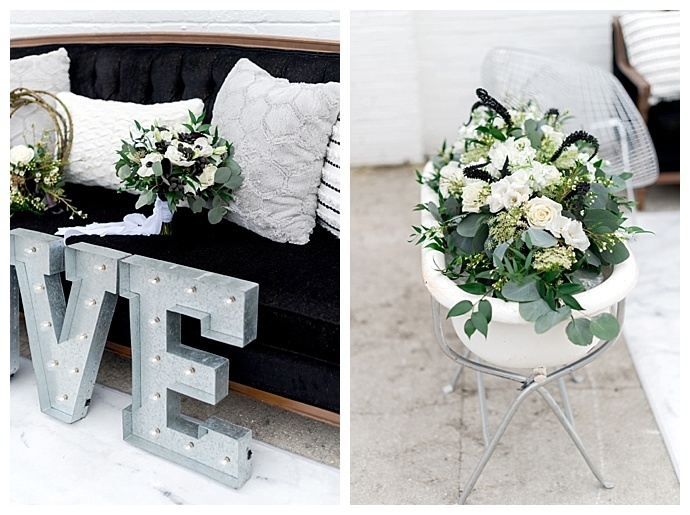 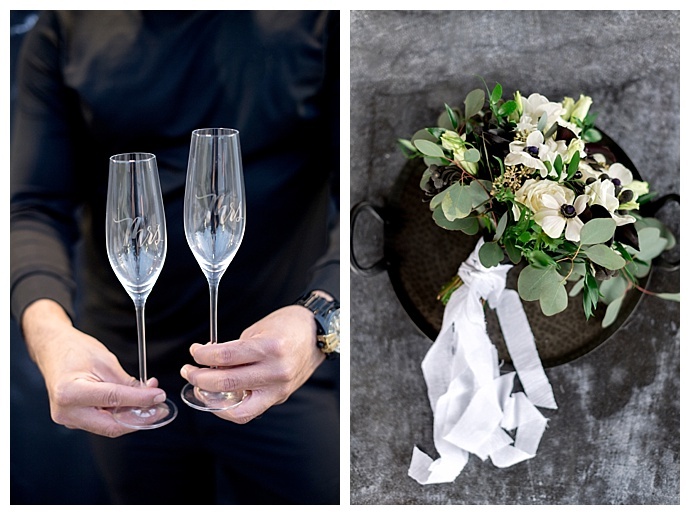 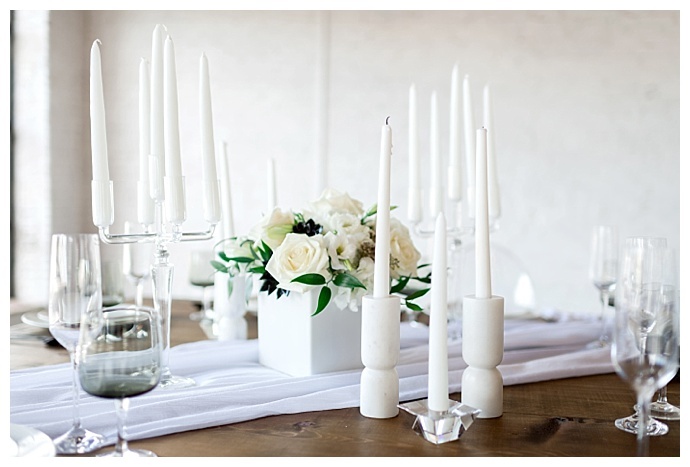 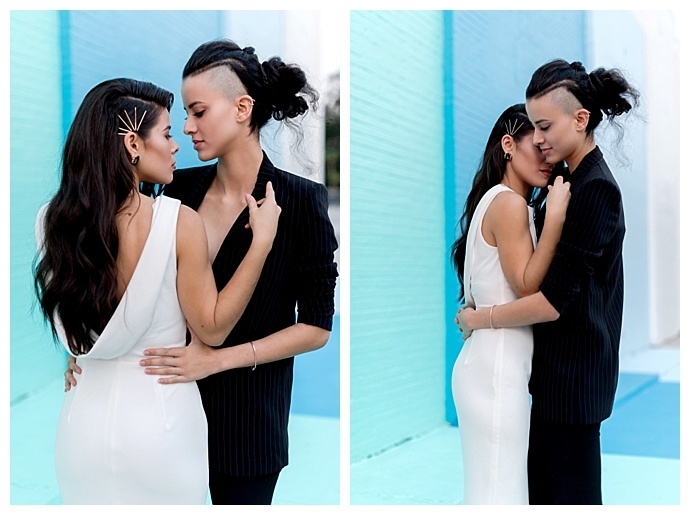 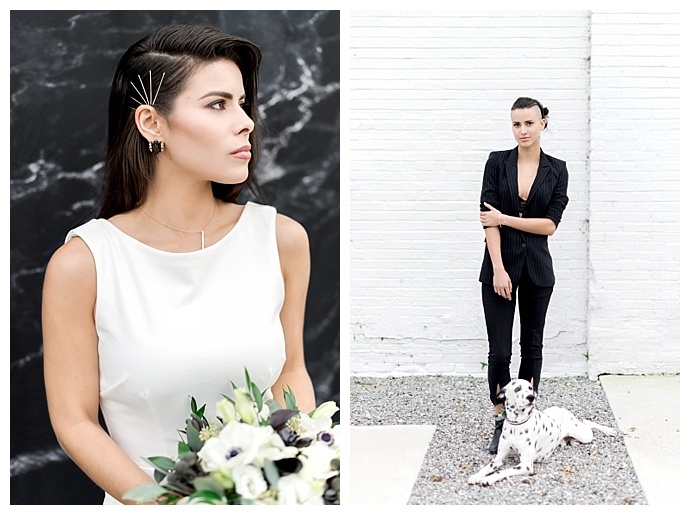 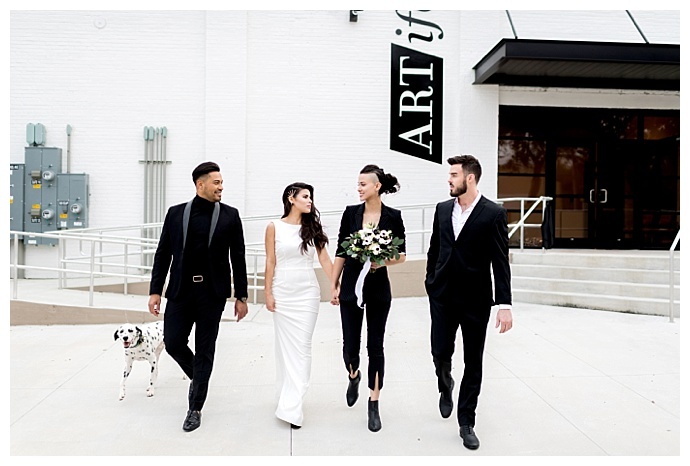 With the concept of “One Love” in mind — love regardless of sexuality, race or ethnicity — Kristen Weaver Photography and her talented team of interns infused a black and white color palette into the design of this styled shoot, which achieved the perfect balance of modern and masculine with an edgy flair. 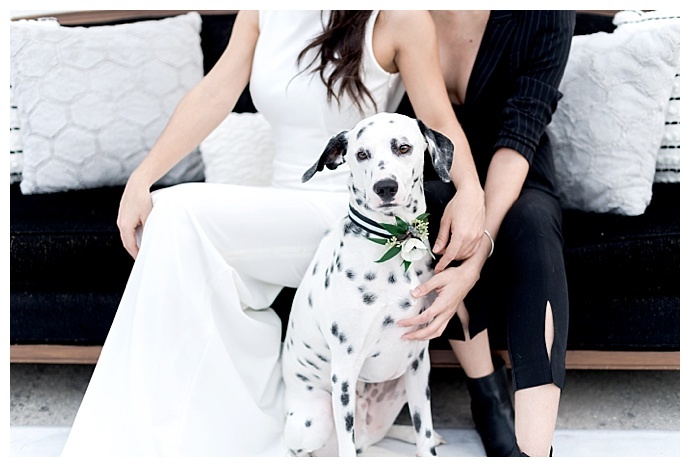 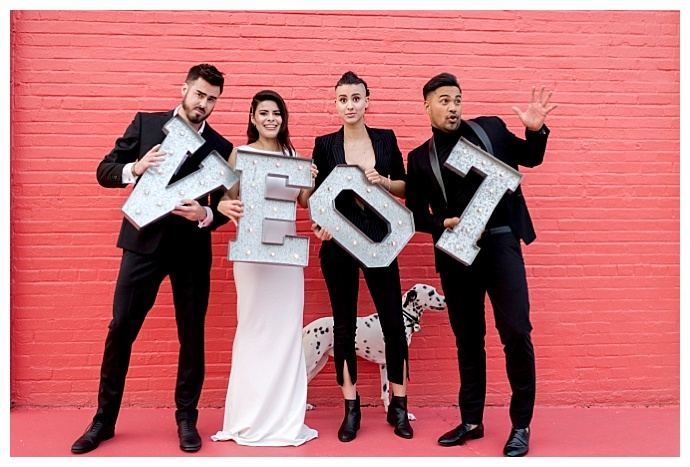 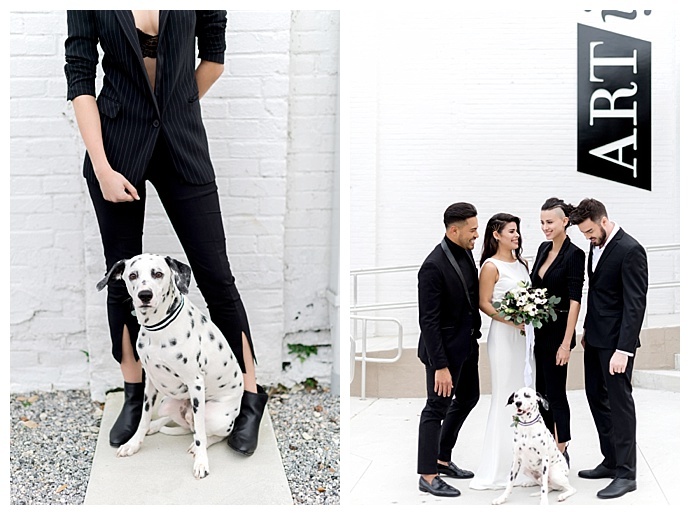 Between the modern minimalist decor, lush florals, the stylish brides and their dashing bridesmen, not to mention the adorable dalmatian at their feet, this shoot is oozing with pin-worthy inspiration. 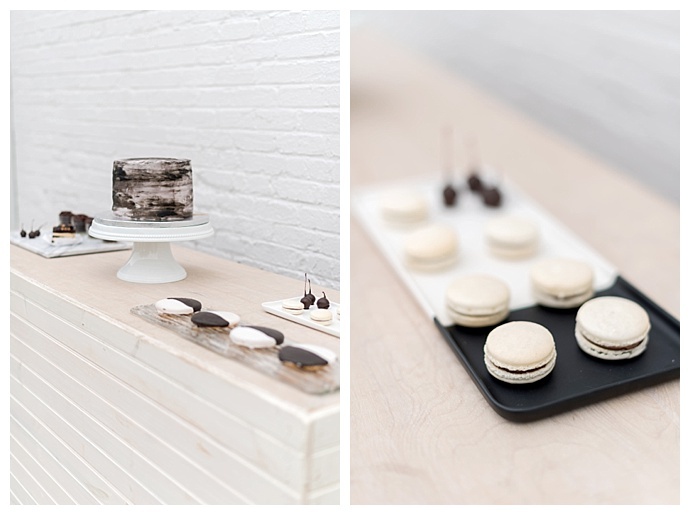 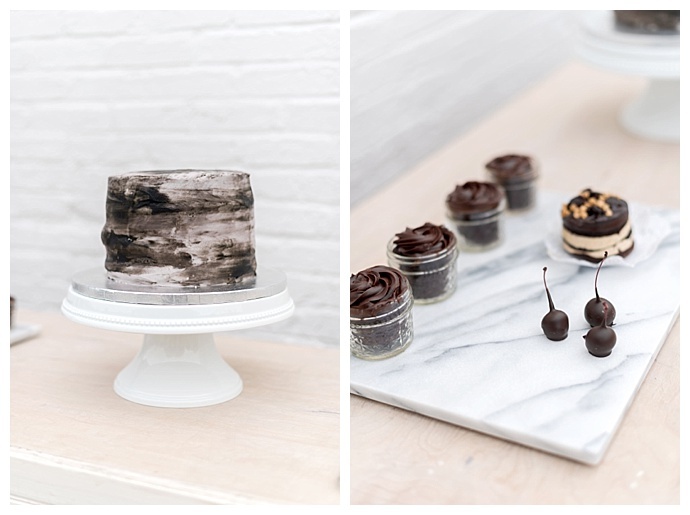 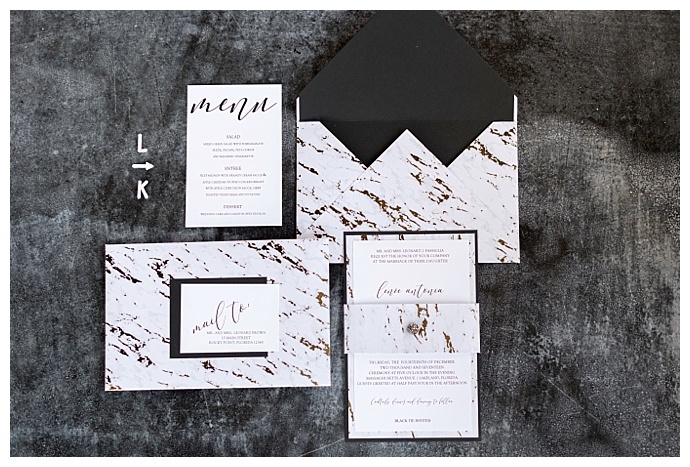 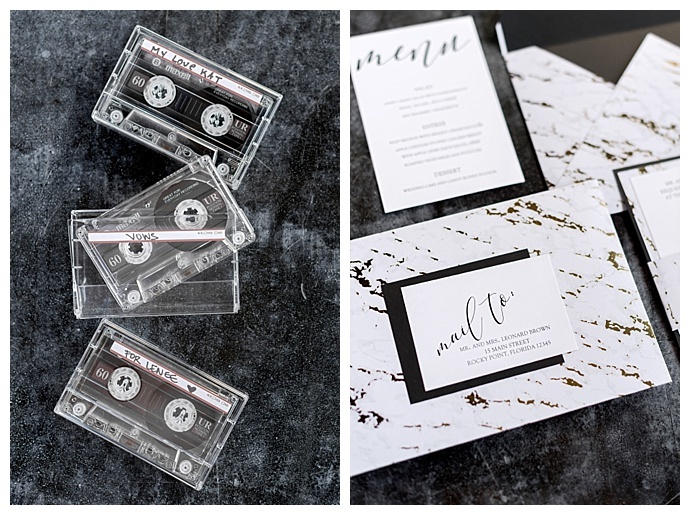 Kristen Weaver Photography was there to capture all the stunning details, from the marble invitation suite and marquee letter signage to the black and white dessert table, and we can’t get enough of it! 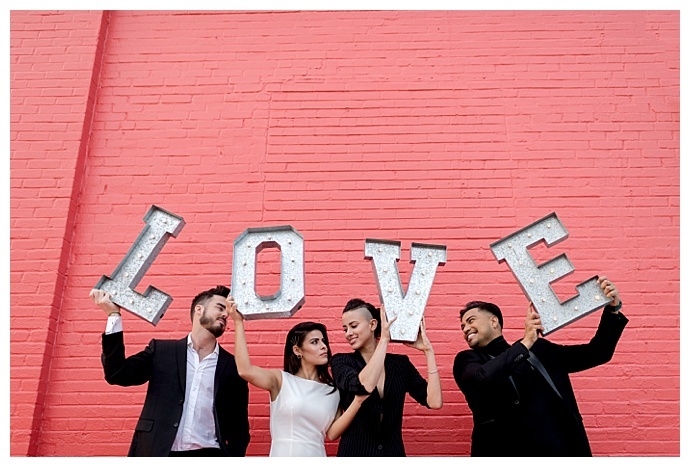 Wedding from Kevin Michael on Vimeo.